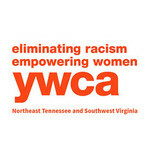 YWCA Northeast Tennessee and Southwest Virginia hasn't added a story. Want to Support Area Children by Taking Part in an Extraordinary Event? Your Bravery Will Make a Real, Positive Impact in the Lives of Local Children & Families. Speedway Children’s Charities (SCC) and YWCA Northeast Tennessee and Southwest Virginia invite you to step up and make an impact in your community by scaling down the iconic tower to support over 90 non-profit agencies who address the needs of children and families in Southwest Virginia and Northeast Tennessee. Funds generated by this event will benefit organizations who feed and clothe local children in need, provide supplies and medical equipment for kids with disabilities, give children in low-income families access to high-quality early education, and more. Participants who raise at least $1,500 for this important cause will secure their spot to rappel 10 stories down the Bristol Motor Speedway tower on June 8th. No rappelling or climbing experience is necessary for participation. SCC and YWCA have partnered with the professionals at Over the Edge Global, who have hosted more than 700 successful rappelling events in the past nine years and provide the technical expertise, training and equipment to perform this event. Help lift our area's children up by rappelling down the Speedway. Register to go Over the Edge today!